“School, only different” returned to Menlo Park this past week, the third iteration of Hillview Middle School’s Mini-Course Program which concluded yesterday. 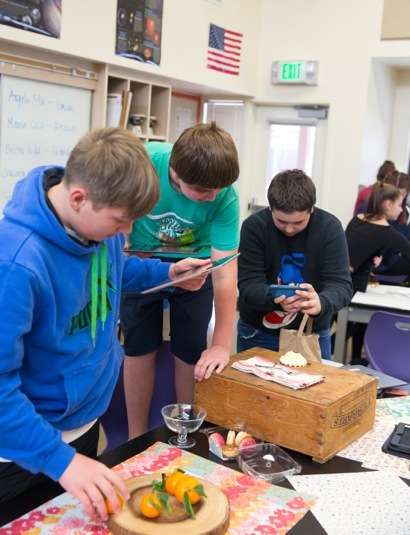 This year featured popular courses like The Amazing Race and Fun with Physics, plus exciting additions including Equine Extravaganza and Animation Exploration and Food Styling taught by InMenlo contributing photographer Laura Hamilton (pictured with kids). After their session with Laura, the students were going to downtown Menlo Park to different restaurants to eat, taste, and photograph the food, and thendevelop a blog about their experiences. Over the four-day period, students participated solely in the subject of their choosing rather than their regular class schedule. Lessons in marine biology, writing, physics, coding, cooking, music, art and more were communicated not with textbooks and tests, but with hands-on experiences through on and off campus lessons, an extensive roster of guest speakers, over 75 field trips all over the Bay Area, and a culminating day of performances and events. Hillview’s 2015 receipt of the California Gold Ribbon Schools Award and the Apple Distinguished School Award strengthens its reputation as one of Silicon Valley’s most innovative and creative public middle schools. In three years, the Mini-Course Program has come to represent the best of what an engaged, supportive, collaborative school community can do. Every stakeholder, from District administrators to teachers to the countless parents who volunteer for the program, has a share in keeping the goals of Mini-Courses the focus of the week. Chief among those founding goals is allowing students more choice around academic programming and teachers the opportunity to craft a course around their passion. 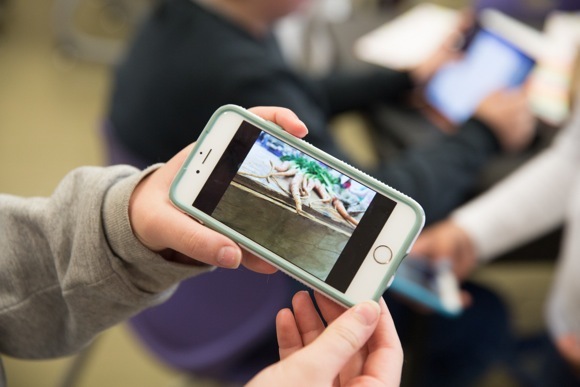 This year saw the continuation of Hillview’s much-loved Washington, D.C. tour for eighth graders, plus a new trip to Yosemite for seventh graders. Both trips were faculty designed and led and use science and history standards as their basis for learning. Between the two trips, over 150 students will embark on adventures that were made available to all students regardless of ability to pay, thanks to community support for the Mini-Course program.